I just had the saddest yet most peaceful dream just the last night. Even if I would’ve passed away in my sleep it wouldn’t have mattered since I haven’t felt that reconciled with myself in such a long time. 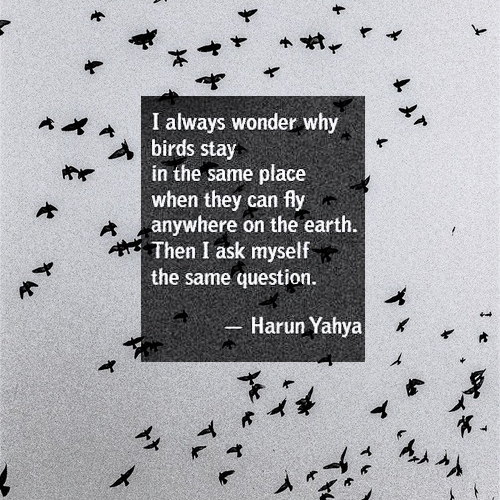 Anyways for some reason, in my dream, I decided that I would just stop everything and travel the world. And for some reason, the first place I picked was Russia but for whatever reason it was, it was beautiful. I was traveling with just a few friends and there seemed to be nobody on the roads. Absolutely nobody, almost as if I was discovering a new world. I was taken aback at how different the road signs and traffic laws were and the unnatural lack of people in the countryside. Driving through this countryside and taking in everything that was unfamiliar was almost too much, but it was also a welcome getaway from all the pain that I have felt over the years. The pain that I have not had the chance to properly let go, just sitting there in the bottom of my heart building over the years. It was a welcome getaway, just me and a few friends (and both my parents, which was a bit odd). Anyways throughout the course of my dream, each person began to fade away one by one, and it was almost as if I had never known them in the first place. Eventually I ended up in a city by myself, on my own and I felt that this was what was planned for me from the beginning. I began to realize that I was starting to feel a bit lonely being just one person in a bustling city (although nobody was there to keep it bustling). And I realized that there are some things that I just can’t do on my own. Even thought that that is how I have done things as long as I can remember. I would do anything than to accept that I needed help on something. I feel that when I do things myself and have that quiet time set aside for me, I know who I am on the inside and forgetting that is the scariest thing. It’s easy to forget your own values and morals when you are constantly surrounded by others. But I also realized that you can’t reach your maximum potential if you don’t have the right person to complete you. Someone to hear you out when you’re down, to pick you up when you’re just too beat down to do it yourself. And in this city, when I felt that I could no longer do it on my own that person walked into my life and showed me that it’s more about doing things on your own. However, this would have never happened if I had just dropped everything and left to find myself in another place. I feel that most of us live in a sort of daily routine which numbs us to the beauties that surround us every single day. For example, I live in a place with the Rockies as my view and the sunrise over the mountains is absolutely amazing, but I take that for granted now and it’s nothing special anymore. I only realized that because my roommate was talking about how awesome it was the other day and made me remember how awesome it really is. I feel that if we break away from this routine of day to day indifferences we can truly realize that we live in an amazing world, and maybe, just maybe you’ll find that special person to share that with. And I guess, according to my dream, my way out of this cycle is to find a place where I’ll be thrown out of my comfort zone and have the courage not to come back. Anyways I’m starting to lose my train of thought here. I tried to write this as soon as I got up, before I forgot but I keep getting distracted and daydreaming. I almost wish I had never woken up.